This bottom loading table sign holder can be used as a single or double-sided frame and is perfect for table menu cards, point-of-purchase signs, pricing, product details, or general information and accommodates 8-1/2"W x 11"H printed material. 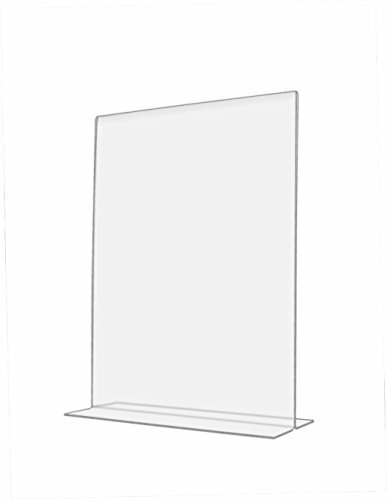 Made from durable clear acrylic, the sign holder presents a clear view of signage while the T-shaped base provides stability and bottom-loading access for quick and easy sign changes. Freestanding and portable, place the tabletop sign holder on virtually any flat surface in business lobbies, restaurants, hotels, trade show booths and more.